Second quarter of 2017 has passed so let's take a look at stats. The media servers connected to WMSPanel processed more than 8.6 billion connections from 3400+ media servers (operated by Nimble Streamer and Wowza) during past 3 months. In the 1st quarter of 2017 it had being collected from 3300+ servers. HLS went down to 60%. RTMP increased its share again, it's nearly 16%. 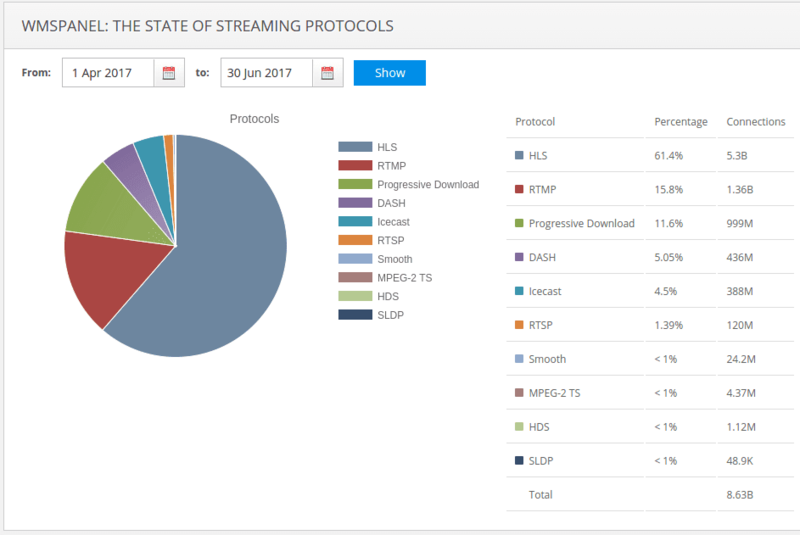 Progressive download also went up to 8%. 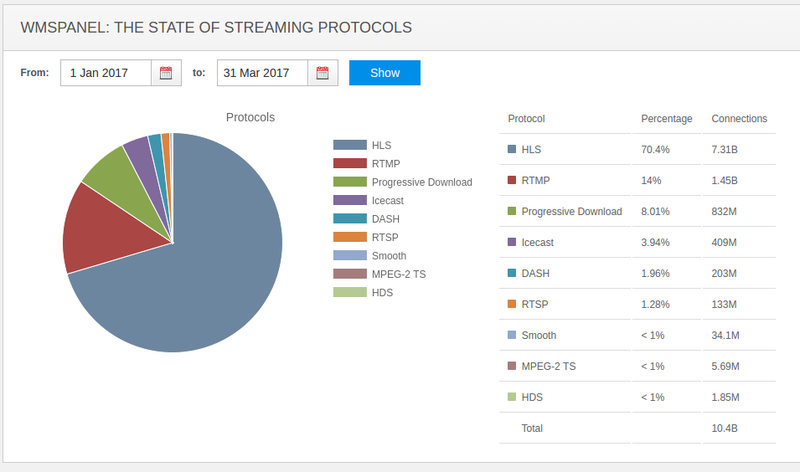 MPEG-DASH is currently 5% which is twice bigger than last quarter. So despite of wide use of progressive download and MPEG-DASH for VOD content, people still need low latency, this is the main cause for introducing SLDP by our team. It's a low latency protocol which our customers use for latency-critical cases like chatting, security or bidding, they also appreciate the built-in security features. This is why you see several thousands of viewers already consuming the live content via SLDP. 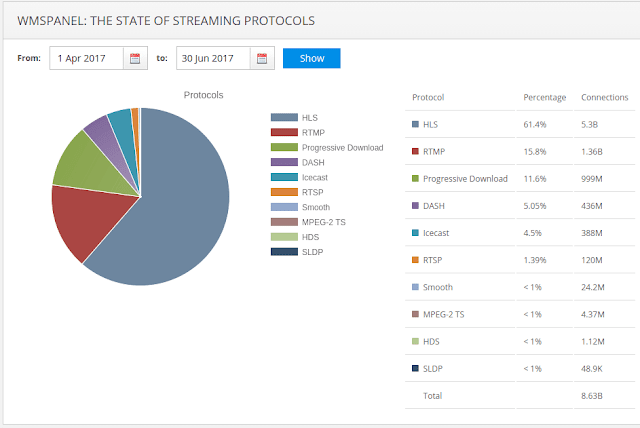 You can also check December summary of steaming protocols to compare with numbers from last year.